Like most of the U.S. population, I watched the Super Bowl with some friends Sunday evening. It was the first NFL game I had watched all season. This was not because I don’t enjoy sports, mind you. But, because I LOVE sports, I determined that I needed to fast from watching the NFL this season. Football isn’t my favorite sport, so don’t think this was a huge sacrifice. I do enjoy football, but mostly it’s just something to cheer for in between baseball seasons. The toughest part was breaking from my family fantasy league. Congrats, Corey. But as we all know, the most important part of the Super Bowl is the commercials! Most say that the commercials just weren’t as good this year. That may be true, but perhaps our expectations are unreal because of the pregame hype regarding the commercials. There were some really clever commercials. Most of them I could watch with my children. A few, however, I’d prefer not to have those images in my mind. Even if you don’t have a commitment to purity in regard to what you allow your eyes to see, wouldn’t you rather see a grandma slingshot a baby at a tree house to score a bag of Doritos? Or perhaps like most of the adult world you are tired of the “teen harlequin” vampire genre and you enjoyed watching vampire’s burst into ashes in the stream of some super bright headlights. Maybe you’re like me and you can’t get enough of dogs, dressed like star wars characters, barking Darth Vader’s theme music. I could be optimistic, but I felt like the commercials were, for the most part, cleaner this year. 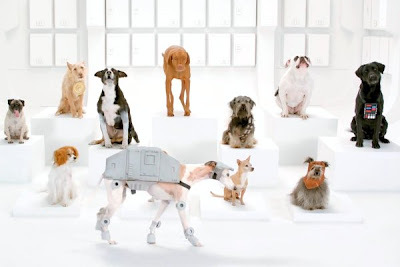 There were a few extreme exceptions, but most of the commercials were pretty good. What’s your opinion?